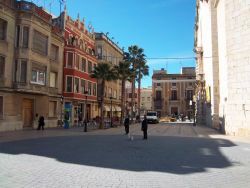 Benicarló, situated on the Costa del Azahar coast, in the northern tip of Valencia region is a busy town with an attactive old centre. 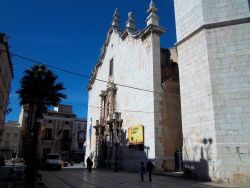 It is not exactly a tourist resort though it has much of the needs of tourists, having a distinct Mediterranean character,a busy fishing port/marina, and quisine to match. 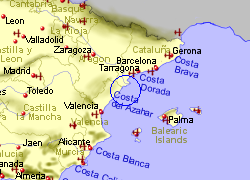 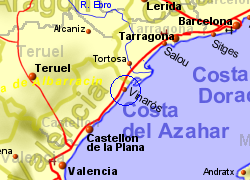 The small town beach and those running south towards Peñiscola are of fine sand but surprisingly, the beach running north towards Vinarós and the Catalunya border are pebbly and not particularly attractive. 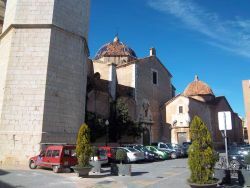 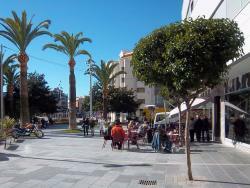 It is also a town with history, the well preserved ancient ruins of Del Puig being close by. 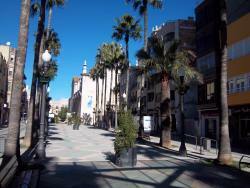 Away fron the sea, the surrounding area is agricultural, and is well known for growing artichokes. 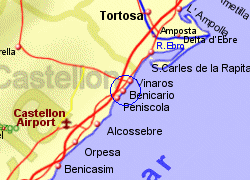 Map of the Benicarlo area.